The University at Albany, State University of New York and the Albany Law School of Union University participates in a joint degree program combining the bachelor's degree and law degree in a six year program. Selected University at Albany students who fulfill the criteria for the program, will start Albany Law School after their junior year and receive a bachelor's degree from the University at Albany after their first year of study at Albany Law School. 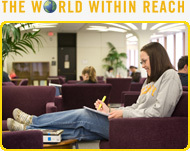 Students in this program complete normal degree requirements at the University at Albany, including an undergraduate major. Applicants will be considered on the basis of superior academic records from school, including performance on the SAT examination and rank in their graduating class. Only students who are or will be freshmen at the University at Albany are eligible to apply. Transfer students who have completed prior study at another institution would not be eligible to apply to this program. The accelerated nature of the 3+3 Law program enables students to complete 3 years of study at UAlbany after which they move directly into 3 years at Albany Law. Students earning more than 30 credits in AP/IB and/or college courses in High School may not be a good fit for this program as the number of accelerated credits can make it difficult for students to complete their three year course of study at UAlbany. If you are applying to the 3+3 program with more than 30 credits earned, please contact Chris Gebhardt (chgebhardt@albany.edu) for further academic advisement regarding your eligibility for this program. Students enrolled in the Honors College are not eligible as the cumulative honors credits and the sequential nature of the Honor’s program are not compatible with the accelerated pathway. Please note: Any student may apply to law school after the successful completion of their third year at UAlbany provided they have completed all degree requirements including the completion of 120 total credits. Upon receiving notice of admission to UAlbany, interested applicants may access the application form by clicking the link below. UAlbany students may apply for the 3+3 Law Program at the end of their freshman year. Applicants will be considered on the basis of quantitative criteria and the applicant's essay. To be selected, an applicant must be acceptable to both the UAlbany selection committee and Albany Law School. Applicants will be notified of the decision by the University at Albany approximately five weeks after the application deadline. 1. At the end of the freshman year, students must have earned a minimum of 30 graduation credits with at least a 3.3 cumulative grade point average. 2. At the end of the sophomore year, students must have earned a minimum of 60 graduation credits with at least a 3.3 cumulative grade point average. 3. At the end of the junior year, students must have earned a minimum of 90 graduation credits with at least a 3.3 cumulative grade point average, must have satisfied all requirements for a major and minor, must have satisfied the general education requirements, and must achieve a one-time or average score on the Law School Admission Test (LSAT) that is no lower than the median LSAT score for the prior year's entering class at Albany Law School.